Decolonising minds one podcast at a time. Black Memory/African Futures. We came to build. Wikipedia is the 5th most popular website in the world, yet there are more articles on the Netherlands alone than the whole of the African continent! Is it time we rebalanced the scales? Open knowledge advocate and award-winning Wikipedian Kelly Foster shares her thoughts on why people of African heritage should consider editing Wikipedia. DTA's mission is to deprogram the understanding of history and culture we learnt during colonisation and enslavement and replace it with a holistic understanding of what our history is, and what its function is in our lives. As part of our recent Sirius B detoxification program we have been working with the powerful visual artist Fowokan. Working with Fowokan has been a truly inspirational experience. 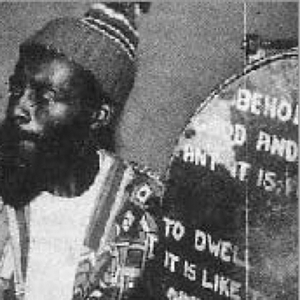 For over 50 years, Fowokan has been creating and sharing ideas and art in service of his community. For his entire career, Fowokan has remained independent; not chasing institutions, accolades or position. For this episode, we caught up with Fowokan in his South London living room surrounded by pieces he has created over the years. We talked history, music art, and most importantly, the ideology that drives his practice. It was an education. Professor Carolyn Cooper is a giant in her field. A pan-africanist scholar- activist of international standing whose work both celebrates and critically analyses of the popular culture of her home country Jamaica. In this episode (named after Professor Cooper's first book), the wonders of the internet allow Etienne and Connie of DTA to catch up with Carolyn in transit between Ghana and Jamaica. We clarify some of the issues she raised at her most recent appearance in London and explore her thoughts on Dancehall culture ahead of the upcoming LEVELS: Africa In The Dancehall session. Covering everything from Anansi and Rastafari to colonial governance and the 'pan-africanism' of controversial dancehall artist Vybez Cartel, this is definitely one to connect with. What does the Black Panther movie say about how people of African heritage engage with their history? This episode takes two scenes from the film - one set in the British Museum and one set in the Ancestral plane to explore the idea that we should live our heritage and not simply look at it.